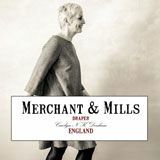 Now those patterns from Merchant and Mills are here..
Did you know we have another website specialising in Kaffe Fassett fabrics? 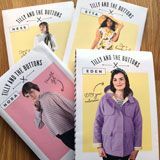 boards for Moda Fabrics, ByHand and Colette sewing patterns. 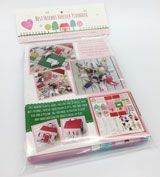 So many uses for this sewing icon, use Ric Rac to decorate your clothes, your kid's clothes, cushions, handbags, even lampshades. Give your clothes a vintage retro look. Sold by the metre. 6mm width. There is no compulsory registration at the checkout. 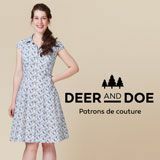 We are now a shop! 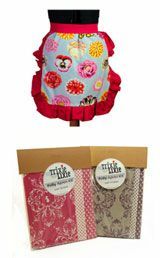 Our new TrixieLixie Filly Apron Kit is now available. 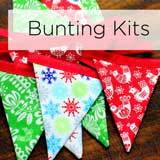 Great for mums everywhere. New colourways coming soon. 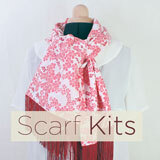 Our new scarf kits are ready. 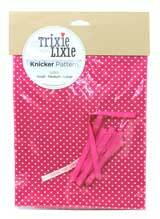 ....or maybe you still fancy Trixie's very own Knicker Kit or Knicker Pattern? 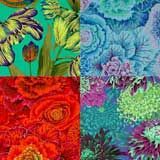 We have new fabric choices available. 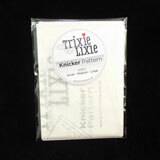 Or just buy the Trixie Knicker Pattern and go your own way. 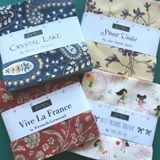 A fat quarter of your favourite fabric, two metres of knicker elastic and a cute sew in label, makes a brilliant present.